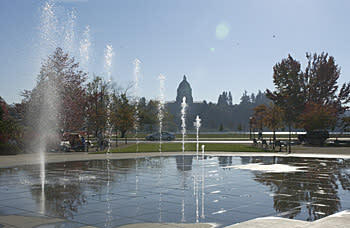 The fountains are the main attraction here, open to the public to splash and play. 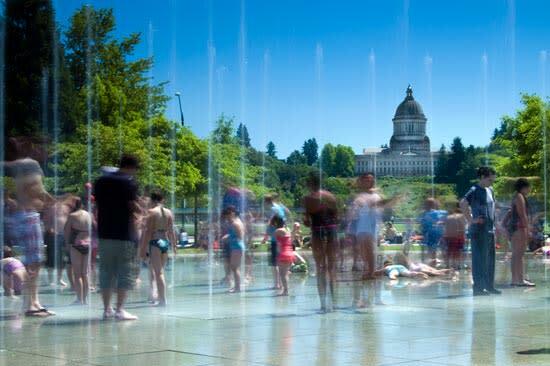 Known casually as "Olympia's swimming pool", the Heritage Park Fountains are free entertainment on hot summer days. 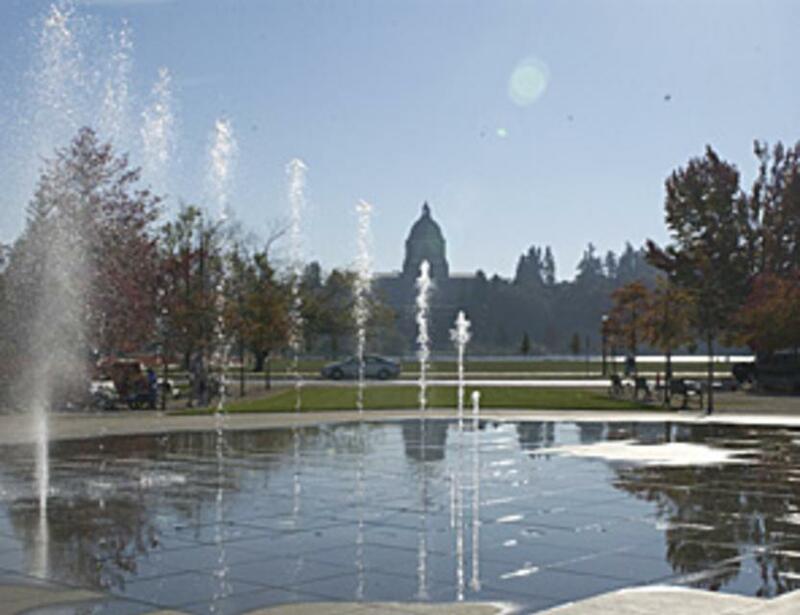 The park is in the heart of downtown Olympia across from the Oyster House. 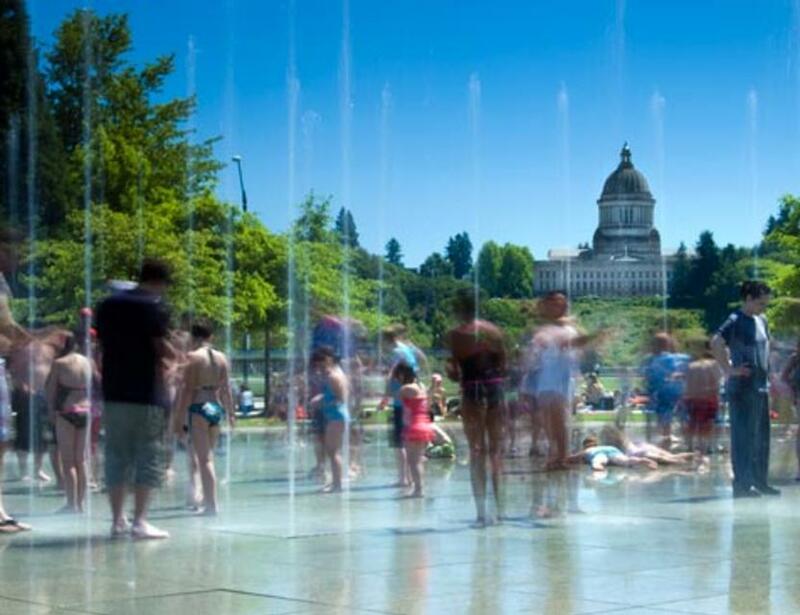 It is wedged between Percival Landing and Capitol Lake Park, so there is no shortage of things to do nearby.